Finishing sprays are a boring but necessary part of my make-up routine. 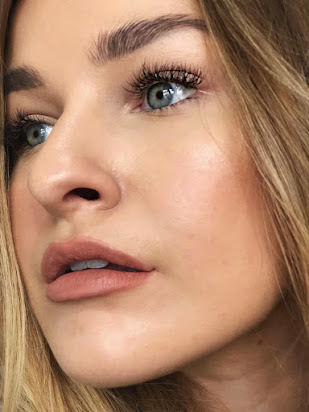 I have dabbled with paying £17 for Mac's famous Fix+ but after seeing Kylie Jenner's make-up artist use the Mario Badescu Rosewater and Herb Spray to finish her make-up, I was instantly amazed at A. The lovely dewy finish she had and B. The price when I looked it up. At £10 from BeautyBay.com, I had to try it out! 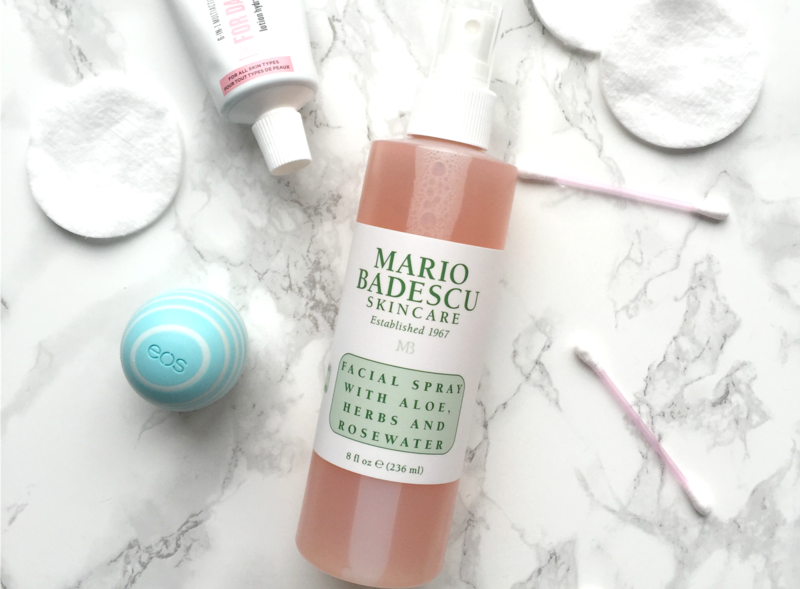 So to compare the two, Mac Fix+ is £17 for 100ml and the Mario Badescu spray is £10 for 236ml. The price difference is an obvious selling point, but in terms of versatility, the rosewater wins 1000 times over. You can use it on your face as a moisturiser, to soothe skin, as a refresh during the day and even on your hair. The rosewater packs a punch with the ingredients, with better extracts such as Aloe Barbadensis Leaf Juice, which moisturises and improves damaged skin. Mac use Cucumber fruit extract for their soothing property in Fix+ and I personally find Aloe to be more appropriate for the job! I like to spray this on my face when I wake up as a quick, easy and light moisturiser. I love the fact that it comes out so light and in such a fine mist. It also never interferes with my make-up when I use it as a finishing spray, instead it leaves a dewy look without compromising the look. I personally don't mind the rose scent that it has too, although I would prefer it to be fragrance free. 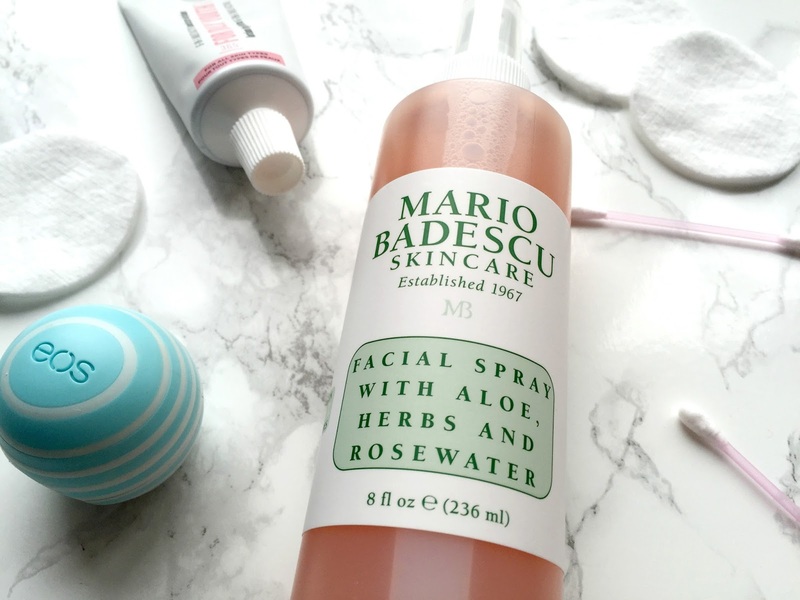 Side note, if you're into the importance of a brand not testing on animals, the Mario Badescu spray is not tested on animals. Love the sound of this, will have to try it out! Ooh this sounds really nice!! Does it really make your makeup last? Love me a good finishing spray! Will have to try this one out! This sounds amazing! I really quite like the scent of Rose as well if it isn't too strong. Will definitely check this out! !